You probably know by now that I am fairly cheap when it comes to a lot of things, especially decorating my home. 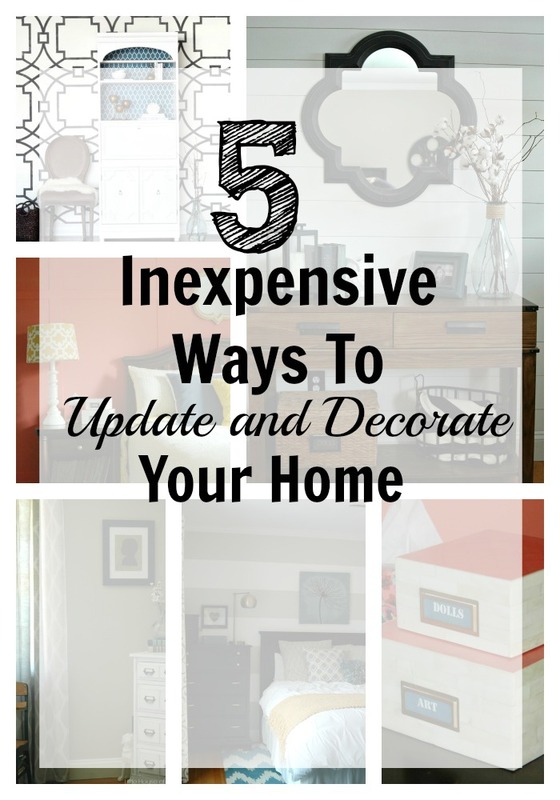 Don't get me wrong, we've spent large amounts of money to make major improvements to our home, but that has always been after a period of living frugally and saving like crazy to be able to pay for those improvements in cash. Trust me, things don't happen quick around our little house and if I have any chance of expanding our kitchen I need to cut costs and watch every penny. Loving to shop and watching what you spend can make things a little challenging when trying to decorate your home. In the 8 years that we've lived in our house, I've definitely had to find creative ways to stretch our money to make our house reflect our style. 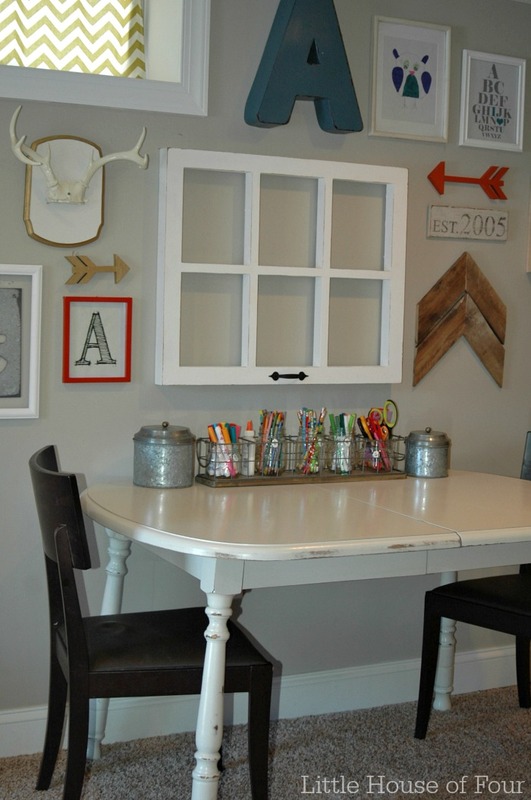 Gallery walls are a great way to fill an empty wall, share memories of your family and bring style to your home. 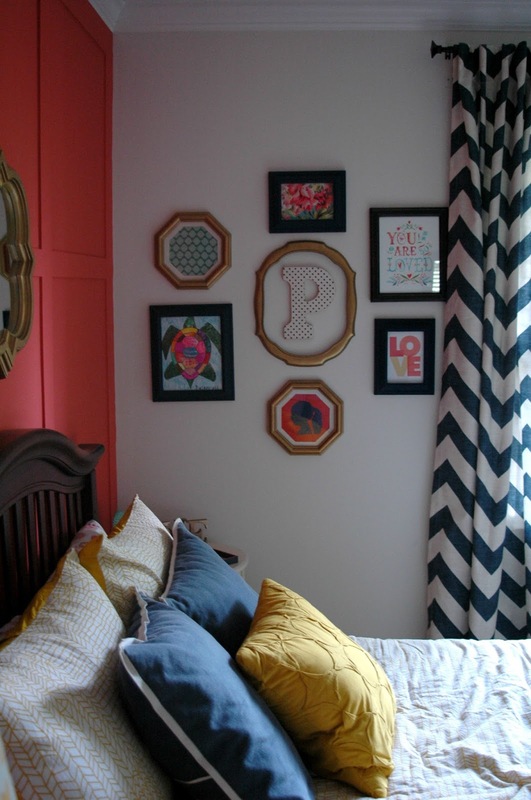 They can get expensive if you're buying new frames and art, but there are many other ways to create gallery walls without spending a fortune. For both my daughter's gallery wall and the basement gallery wall I used free printables, Goodwill frames, my kids artwork and a few DIY arrows and signs. 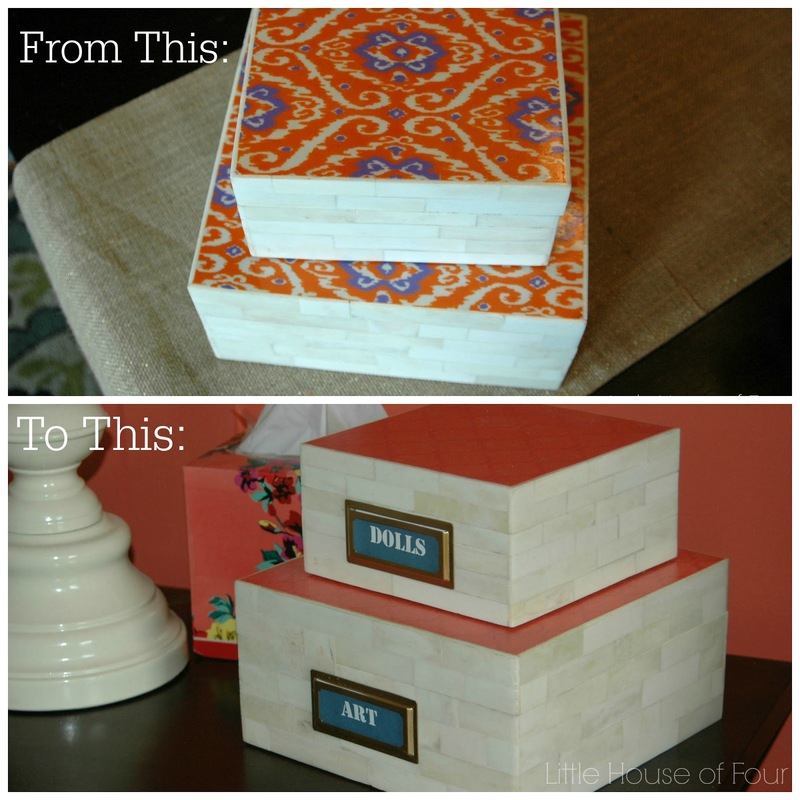 It was a super inexpensive way to share memories of our family and bring color to the rooms. Most of our furniture in our home has either been bought at second hand stores or has been handed down from family members. We did buy a new bedroom set for my daughter, but our bedroom furniture as well as my son's has all been handed down from family members. My dresser was my brother's chest of drawers when he was a baby and my husbands dresser and nightstand were his as a kid. Each got updated with black paint and you can't even tell they aren't a set. My son's dresser was my great grandfather's, which got updated with Sherwin Williams Jalapeño. It's now one of my favorite pieces in his room. All were free and I love that there's a special meaning behind each one. If you can't find items for free, second hand and vintage shops are always a good place to hunt for furniture and unique home decor pieces. The blue vintage server in our dining room was purchased on sale from a local vintage market. I love that it's unique, didn't cost a fortune and I was able to support a local shop. 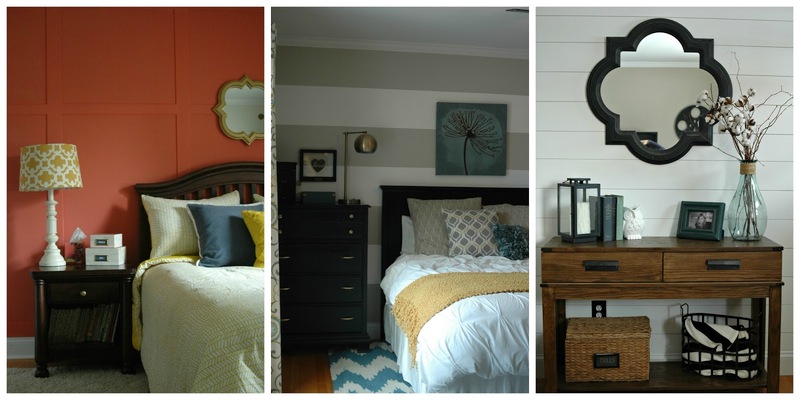 It's amazing how much a little wood or paint can completely transform the look of a room. Spending a minimal amount of money on paint or wood instantly makes your room feel more expensive without actually being expensive. Each of these projects cost less than $100.00 and added major impact to our rooms. 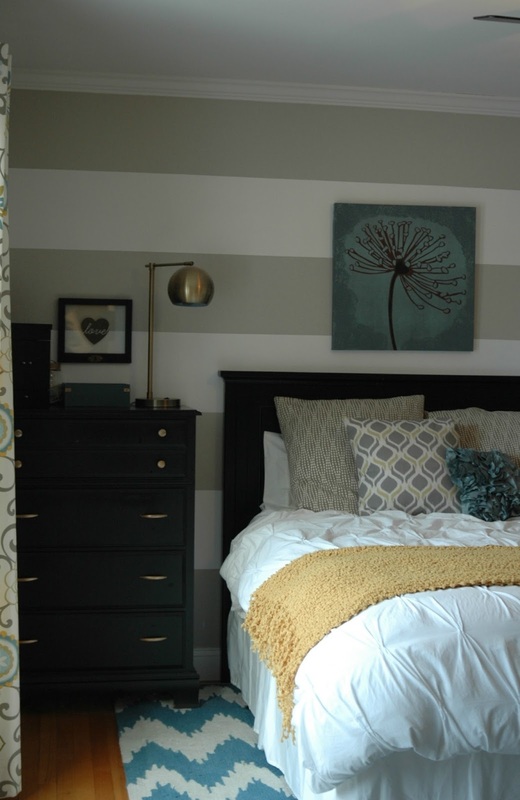 If wood or stripes aren't your thing, you can always add a fun stencil to your walls. 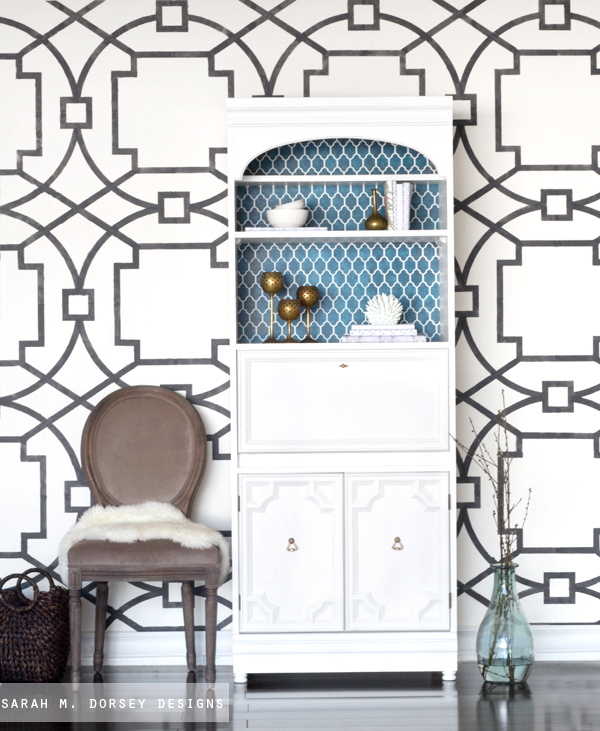 Wallpaper can add up quick, but a stencil can cost a fraction of the price and have the same effect. If you're going to save money on your home, you have to think outside the box. More than likely second hand shops and clearance aisles aren't going to have exactly what you're looking for. They might be the wrong color, size, shape or even damaged, but that doesn't mean you have to pass them up. If you keep an open mind you can completely transform just about anything. Can't find the perfect throw pillow or fabric? Make sure to check out tablecloths, curtain panels, and placemats. They all can be turned into pillows with little effort. Don't be afraid to buy something that's not the perfect color, spray paint can be your best friend. I've said it before and I'll say it again, I am not a patient person. This tends to be a problem when it comes to decorating and remodeling our home. When an idea pops into my head I run with it and want it done right away. Thank goodness I have a frugal side that holds me back from rushing into projects and spending more money than I need to. I've learned over the years to be patient and wait for sales or a cheaper version to come along. 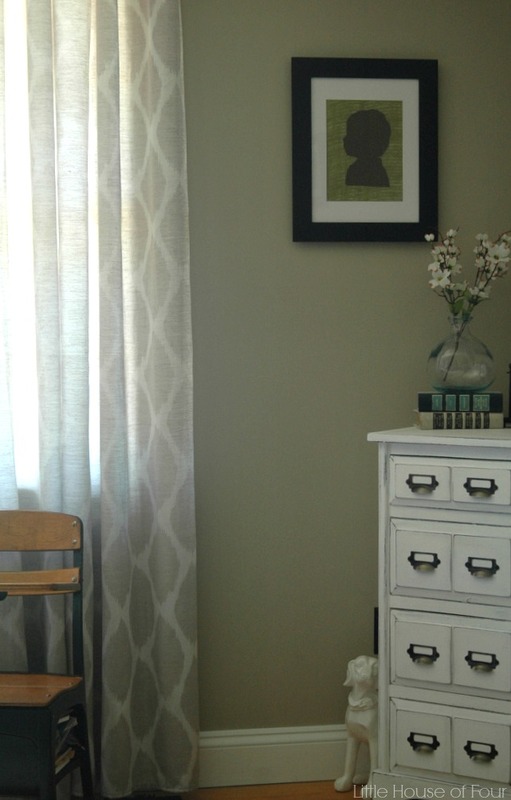 When I wanted to replace the boring sheer curtains in our living room I knew I wasn't going to splurge for the West Elm ones that I fell in love with. At $50 a pop and needing 4 panels I knew I had to be patient and wait to find something similar. 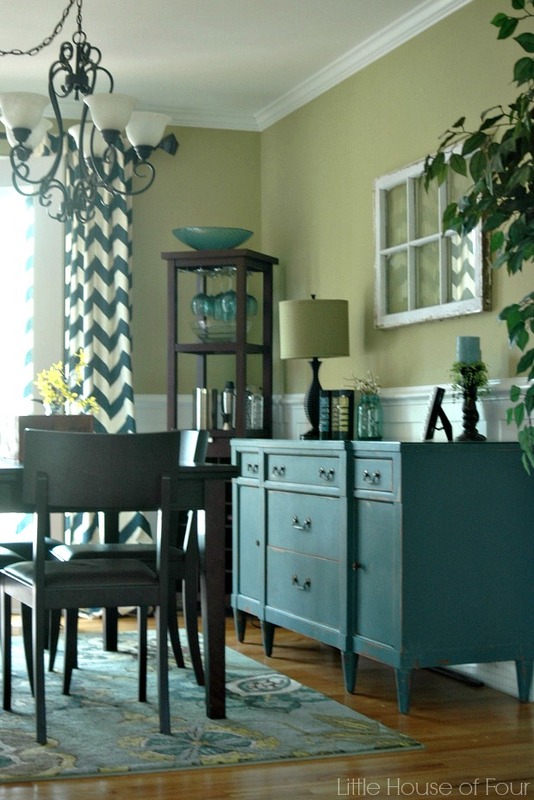 Just a few months later I spotted the same exact curtains at Tuesday morning for $19.00 for 2 panels! Granted, I did have to lengthen the curtains, but it was well worth the effort for the money I saved. What creative things do you do to save money on home improvements and decor? I would love to hear about them! Great tips, Katie! Especially good for those trying to adhere to a small budget! Thanks Erin! I'm so glad you found the tips helpful. I LOVE yard sales, definitely better pricing than thrift stores. Thanks for sharing your tips! I love to shop my house and use things in different ways. I also love to use items that belonged to my parents and grandparents that they no longer need. 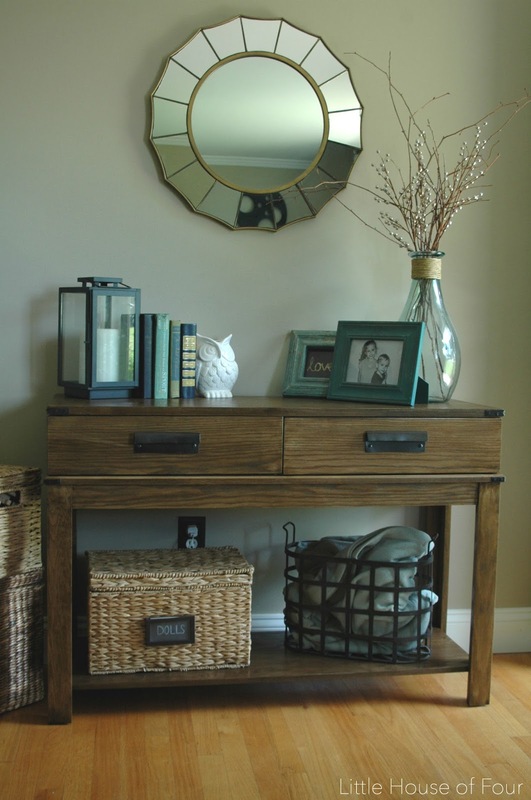 It is fun to think outside the box and use items in nontraditional ways. 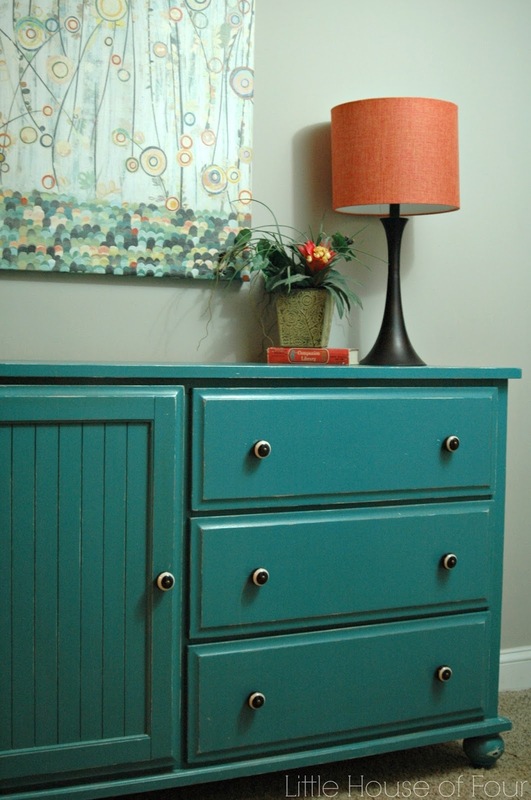 I really like the pop of color that you used on your dresser from Goodwill! Thanks Emily! Shopping your house is the best. It's amazing how much things can change from room to room. Thanks so much for stopping by and sharing your tips. I'm an advent thrift store shopper and "treasure" shopper, but typically, I get it home and lack the skill to make it work. I'm still waiting to come up with a great table scaping for my formal living room coffee table. I have lots of great stuff, but definitely don't know how to put all together. I hope to get a lot of great ideas from your blog. Thanks so much Cindy! I feel you on things not coming together as you imagined. Sometimes it takes me awhile of rearranging until something finally clicks. Free furniture, it's the best! Thanks so much for pinning, Amber! Thanks for all the tips. We actually have a large home (five kids) and I find myself wanting to decorate and build everything, but the budget doesn't always allow it. I really liked seeing how beautiful a space can be made with a little creativity. Thanks Crystal! I'm with you, It's hard not to want to dive right in and get started on every project. I'm still working on the patience part! Great tips! I love to shop yard sales, Goodwill and other thrift stores! It's fun to get creative and see what you can do with a piece. I just finished an Ugly April Challenge where I took an old ugly stool and created a cool beach inspired box. I would love if you would take a look! My blog is http://homeonthecorner.com. Thanks for sharing you ideas! Thanks Pam! Great job on the stool, I love the planks you added to the front. Great tips, Katie! I'm all about saving money for those big renovations that really improve the house and decorating in ways that don't cost much!